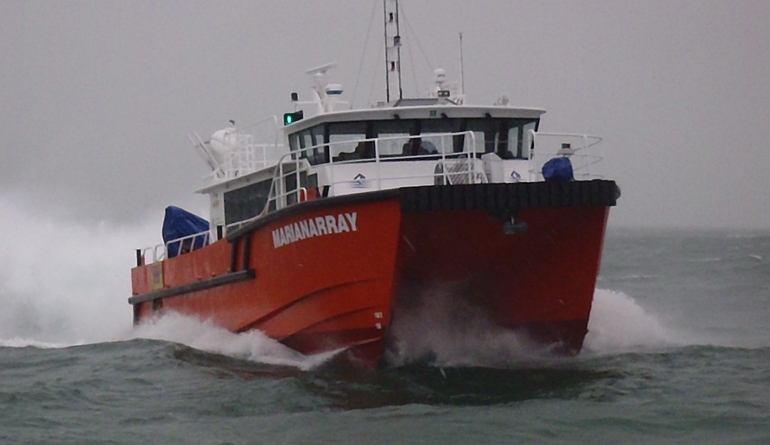 Based on our superbly successful WFSV catamaran, the 20 metre “Gardian”, the aluminium marine kit for the “Marianarray” 17m JET catamaran has been specifically developed for the rapidly growing UK and European Wind Farm market place and is being built by our UK based builder Alicat Workboats, a subsidiary of Gardline Shipping. 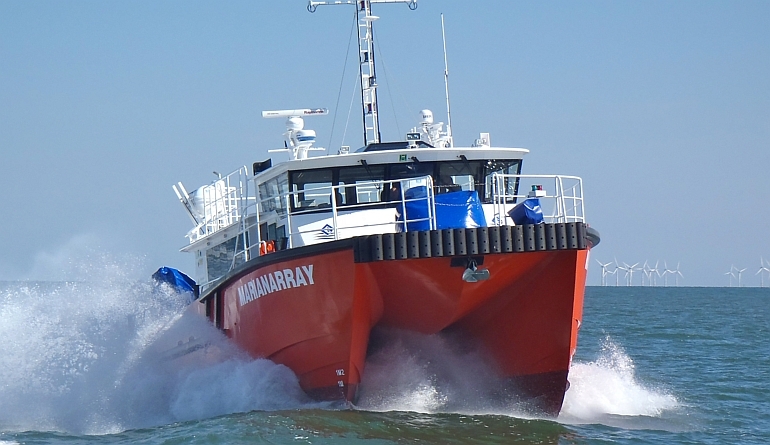 Powered by twin MAN V12’s 1,170 HP and coupled to the highly efficient Kamewa FF500 waterjets, the vessel achieves 30 knots. This hull is a shorter version of the well proven 20m “Gardian” and has been configured for twin waterjet propulsion. The design is fully approved to Det Norske Veritas DNV and is being built to UK MCA code for Cat 2 vessels 60 miles offshore and 4 metre seas. 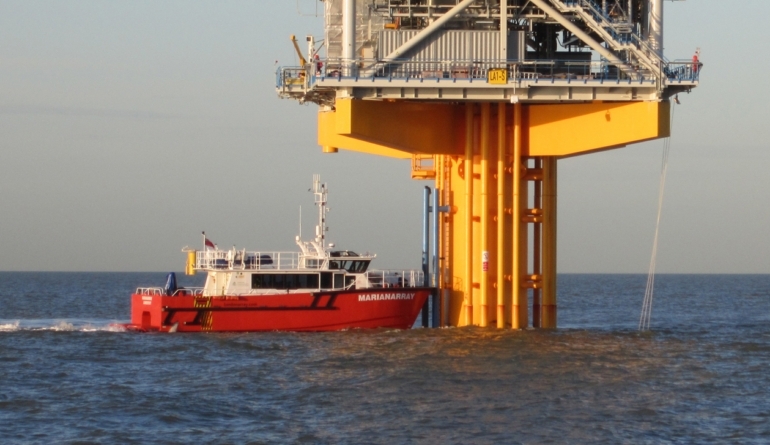 This vessel marine kit is also available as shaft drive with keel and DNV structural approval as “Alicat 17 Propeller” – MK 10021. 2 x 660 Us. Gal.